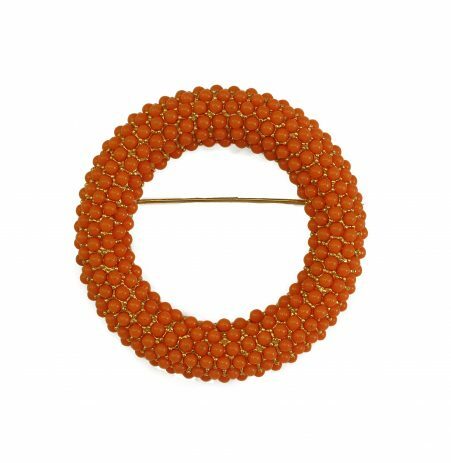 Description: This is a fun and fabulous 1950s vintage 1950s atomic-style Swedge construction circular brooch. This fantastic has what appears to be three layers, albeit two are closely placed together. From the center out this pin’s design commences with a fushia-colored round rhinestone flanked by a circle of light purple-rhinestones. 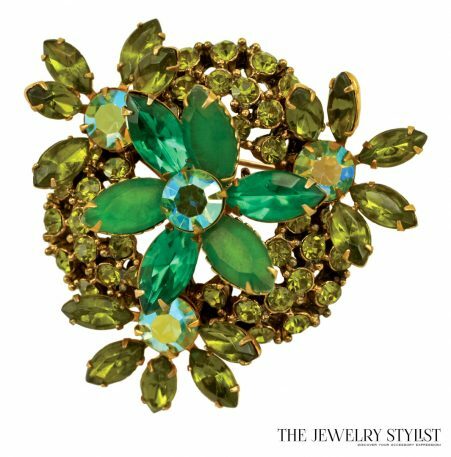 Then the brooch is further accented by large emerald-cut yellow rhinestones with blue round-cut accents on either side. Finally, the bottom of the brooch represents a circle of light-purple rhinestones finishing this dramatic piece. Perfect colors for an accent on an evening purse, or a daytime hat. Colors are very Easter-ish.